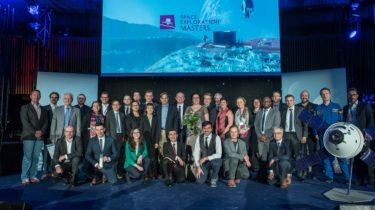 BMSIS scientist Dr. Afshin Khan, along with her team member Mark Ciotola, was selected as the overall winner for the 2017 Space Exploration Masters competition. The contest was initiated by the European Space Agency (ESA) as well as other government and private space organizations. The team’s project was titled “Plant germination during spaceflight to test for adaptability of crops in long term space missions.” Dr. Khan and colleagues plan to continue developing their idea for improving plant yield through space exposure, with aspirations to eventually fly their experiments in low Earth orbit or on the International Space Station.